Get Busy Living: WFW - Be STRONG! 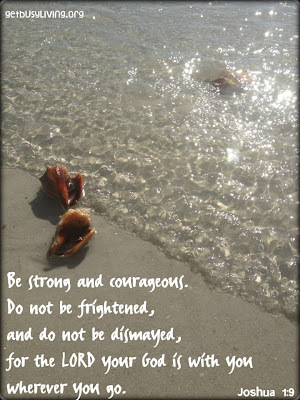 January's "Word Filled Wednesdays" will feature verses that tie in with my 2012 word: STRONGER. 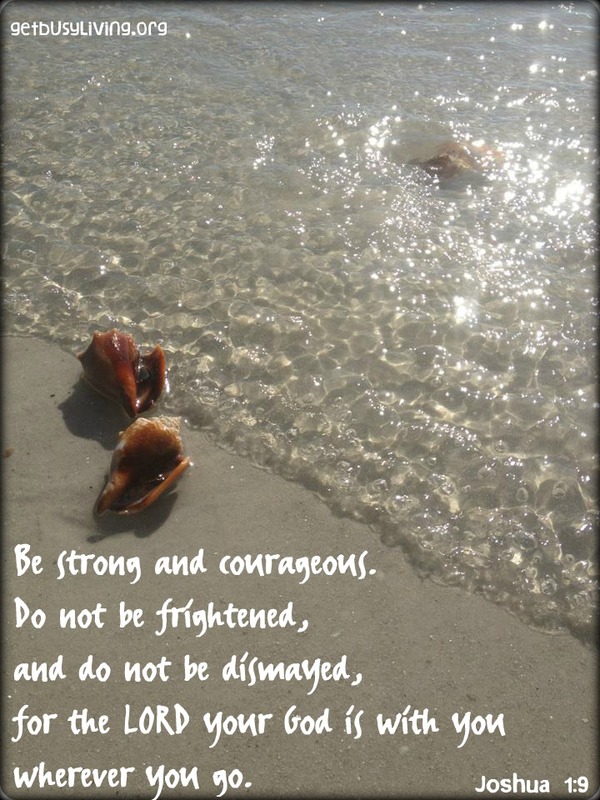 I took this picture along the beach on Sanibel Island in Florida. There were tons of these beautiful conch shells all over, but every one I picked up had a live animal in it, so they were left on the beach. My mom and I were both wondering how the little creatures would survive when the tide went out. But I realized, the conch animals weren't worrying about that. They weren't frightened of the tide or being left in the sun, they were just rolling around in the ocean doing whatever conch creatures do. Sometimes I wish I could be more like that, less worried about the "what ifs" and more content to just hang out in the waves. Find more inspiration at Word Filled Wednesdays. I love all your inspirational reminders! Thanks! Thanks for the encouragement to trust God! Great verse! Excellent take away and exactly what God has put on my heart today. TRUST HIM! Super happy I ran into you today on WFW. I can relate with that! Thanks for the verse and the story with it. It made me smile and think. I love your word choice and I am so glad you decided to share it with us. It was a blessing to me! Fit Tip Friday: Try Something New! Fit Tip Friday: Love it!